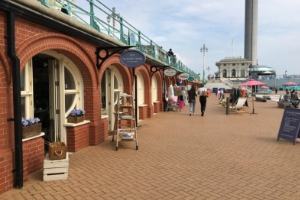 Mobile street trading isn't permitted in any form along the seafront. This includes ice-cream vans and mobile food stands. The council does not issue any permits for this area. Enforcement officers patrol the seafront daily. Details of the areas in the city where licensed street trading can take place. There are also trading opportunities at the Brighton Open Market. We will prosecute unauthorised street traders under the Local Government (Miscellaneous Provisions) Act 1982 Part III and Schedule 4 – Street Trading Consents.